The mayor’s commission put three questions on the ballot for voter approval through a simple majority. 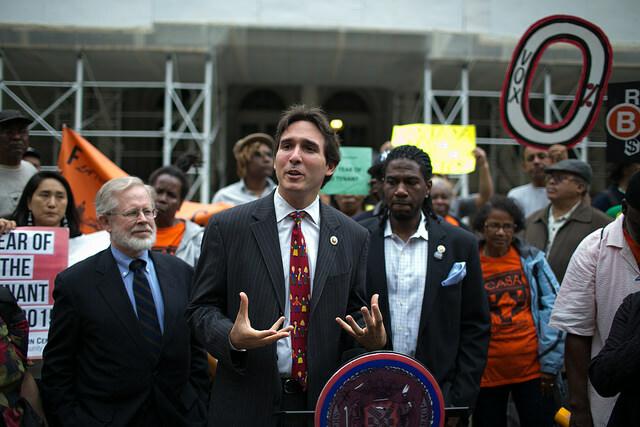 The first would significantly reduce individual campaign contribution limits and expand the city’s public matching funds program; the second would create a civic engagement commission with appointments mostly by the mayor to coordinate citywide participatory budgeting and other initiatives such as interpreting services at polling sites; and the third would impose term limits on community board members and alter how those members are recruited and appointed to ensure greater diversity. Though the mayor appointed the commission and announced its areas of focus, he was not to have direct say over its final report or proposals, but he did announce support for all three and is now campaigning to see them approved by voters. “These reforms will go a long way toward strengthening our democracy and limiting the influence of big money in our elections,” he said in a September statement, when the proposals were released. “There's no doubt in my mind that these measures will help us build a more fair and equitable city.” On Sunday, de Blasio spoke at two churches in Manhattan, urging congregants to flip their ballot and decide on the three questions. “[V]ote yes, yes, yes. So we can open up the doors of democracy wide and make this an even greater city,” he said at Bethel Gospel Assembly. Other elected officials, however, are not so certain, and are expressing somewhat mixed reviews, though many are opposed to community board term limits. It’s an argument that’s also been advanced by four of the five borough presidents -- only Brooklyn’s Eric Adams supports the term limits question. Katz said the current appointment process allows “ample opportunity” to pick diverse candidates “for a dynamic mix of talent,” while Oddo worried that the “one-size-fits-all solution” could have unintended consequences. On expanding the campaign finance system, however, only Adams and Oddo have publicly opposed the question among the borough presidents, though for different reasons. “[Brooklyn BP Adams] opposes the campaign finance reform measure because it doesn’t go far enough as he believes in 100 percent public financing,” said an Adams spokesperson. Oddo, on the other hand, has been a staunch opponent of public financing and simply said, “Hell no!” about proposal one. Spokespeople for Katz and Diaz Jr. did not respond to requests for comment about the campaign finance reform proposal. Comptroller Scott Stringer also opposes the second and third questions while supporting the first on campaign finance reform. “The City must take a serious look at our Charter — it’s critical to tackling the important issues facing New Yorkers,” he said in a statement. Stringer has laid out his own exhaustive plan of charter proposals to the 2019 charter commission, a separate one from the mayor’s that was created through City Council legislation that is taking a far broader look at the city’s governing principles. 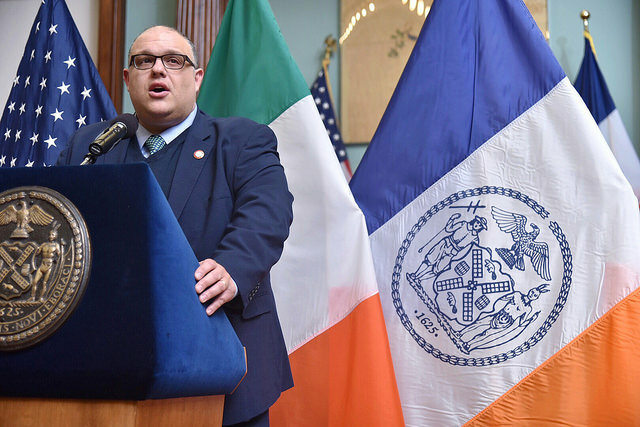 At an October 31 news conference at City Hall, Gotham Gazette asked Speaker Johnson if he would urge the 2019 commission to reverse community board term limits if they should pass. Johnson said he would not. "I think it's important to lice by the will of the voters," he said. A spokesperson for Public Advocate Letitia James did not provide her stances despite multiple requests for comment, one of which was acknowledged. Among a few rank-and-file City Council Members, reception of the proposals seems to be mixed. Council Member Brad Lander, a Brooklyn Democrat, for example, supports all three proposals and has in particular been advocating for the creation of the civic engagement commission -- Lander had proposed the idea through legislation and presented it to the commission. “I truly believe these ballot proposals give us an opportunity to do something important to strengthen our local democracy: To improve our campaign finance rules. To turbo-charge civic engagement. To expand participatory budgeting city-wide,” he said in an email blast to supporters, calling on New Yorkers to pledge their support. City Council Member Jimmy Van Bramer, a Queens Democrat, is also urging a "yes" vote on all three proposals. City Council Member Jumaane Williams, a Brooklyn Democrat, has expressed support for the campaign finance proposal, but a spokesperson did not respond to a request for his positions on the other two. Even government reform groups appear somewhat split on the ballot proposals. Reinvent Albany is advocating for all three. “Reinvent Albany believes a YES vote on these ballot measures will collectively amplify the voice of everyday New Yorkers and create new opportunities for injecting fresh perspectives into the public debate over how to make our city better for everyone,” the group said in an email blast on Monday. Citizens Union, another good government advocacy organization opposes the proposal for a civic engagement commission, supports community board term limits, and has not taken a position on the campaign finance question. 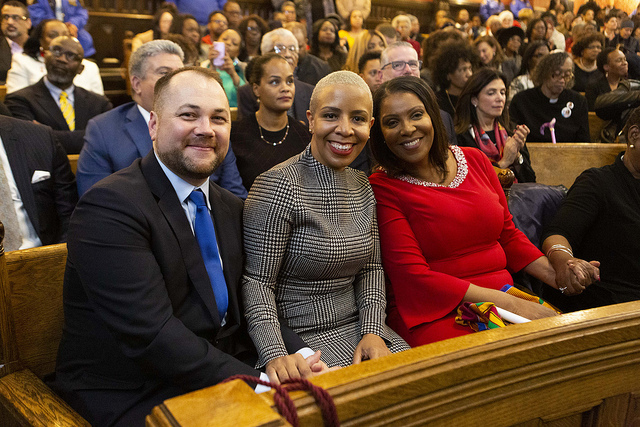 Note - This article has been updated with additional comment from City Council Speaker Corey Johnson and Council Members Jimmy Van Bramer and Jumaane Williams. The state bill passed with bipartisan support in both the Assembly and the Senate, and awaits Cuomo’s signature or veto. The commission, consisting of eleven judges, prosecutors, and defense attorneys appointed by the state’s chief judge, the governor, and legislative leaders, would be empowered to investigate and recommend disciplinary action against prosecutors in the state accused of misconduct. The commission would be similar in structure and purpose to a commission established in the 1970s to investigate misconduct claims by judges. Cuomo has not indicated whether he supports the legislation or not, and the state district attorneys association has called it unconstitutional and threatened to sue if the governor does sign it into law. The commission would have oversight of the state’s 62 district attorneys and their assistant district attorneys. The letter from the Council’s Progressive Caucus notes that, according to the University of Michigan’s National Registry of Exonerations, New York is fourth in the nation for wrongful convictions, behind California, Illinois, and Texas. Misconduct can take various forms, including failure to turn over exculpatory evidence to the defense, intimidation of defendants or witnesses by police, and knowing submission of false testimony. Oftentimes, these occurrences can lead to false convictions, including for serious crimes that carry long sentences. In 2017, the National Registry of Exonerations recorded 13 exonerations in New York State, for individuals who had served as little as one year to as long as 28 years for crimes they did not commit. So far in 2018, 12 exonerations have been recorded. False convictions are such an issue in New York that some district attorneys have formed entire units within their offices dedicated solely to examining past convictions and their validity. The Brooklyn DA’s Conviction Review Unit, for instance, requested 24 exonerations for wrongfully-convicted defendants between its creation in February 2014 and December 2017. The grievance committees, which are bodies within appellate divisions that serve to investigate and censure both prosecutors and defense attorneys, have been characterized as toothless by advocates of the bill on both sides of the aisle, and criminal justice reform writ large. The Progressive Caucus wrote that the committee system in place has “not curbed bad behavior” among prosecutors, and that discipline is a rarity. The grievance committees rarely discipline prosecutors, but frequently discipline defense attorneys or other attorneys in private practice. In 2016, the First Appellate Division’s Grievance Committee, which covers Manhattan and the Bronx, disbarred 30 attorneys, suspended ten, and publicly censured six; none were prosecutors. When prosecutors are disciplined, sanctioned, and disbarred, it tends to make the news, as occurred with former St. Lawrence County DA Mary Rain. David Soares, the Albany District Attorney and the new president of the District Attorneys Association of the State of New York (DAASNY), told host Susan Arbetter of the Capitol Pressroom radio show in June that DAASNY would sue the state if Cuomo signs the bill into law. For the Council’s Progressive Caucus, a majority in favor leads to an action like the letter. 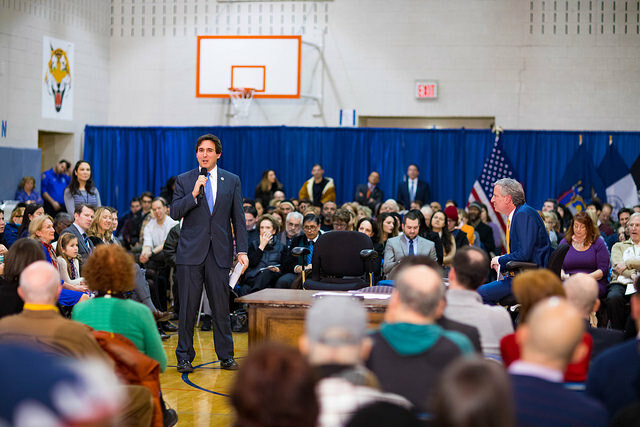 It was signed by caucus Co-chair Ben Kallos and fellow Council Members Jumaane Williams, Anonion Reynoso, Brad LAnder, Carlos Menchaca, Keith Powers, Deborah Rose, Daneek Miller, Justin Brannan, Steve Levin, Carlina Rivera, and Alicka Ampry-Samuel. 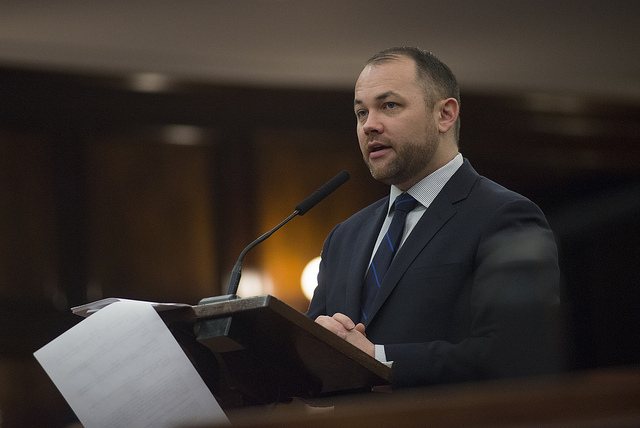 Notably, the non-signers of the caucus include Council Speaker Corey Johnson, caucus co-chair Diana Ayala, and public safety committee chair Donovan Richards. A representative for Johnson did not return a request for comment, while Ayala’s office did not respond to a request for comment. 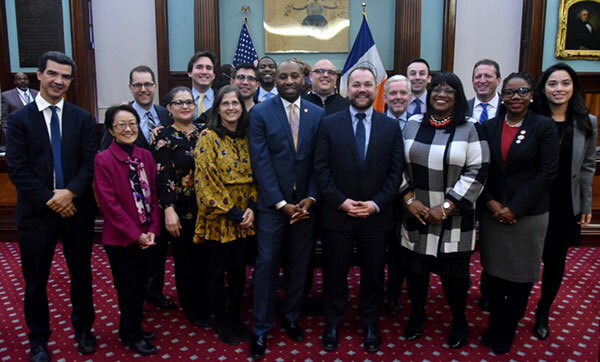 Representatives for Council Members Jimmy Van Bramer and Mark Levine, among the other members of the Progressive Caucus who did not sign the letter, told Gotham Gazette that they support the bill. Governor Cuomo has not signaled whether he intends to sign the bill or not. Cuomo spokesperson Tyrone Stevens said that the governor’s office is still reviewing it. A large public turn out and testimony that touched on topics such campaign finance reform, improving voter participation, enhancing police discipline, and the benefits of participatory budgeting marked the Manhattan hearing of Mayor Bill de Blasio’s Charter Revision Commission on Wednesday night at the main branch of New York Public Library. 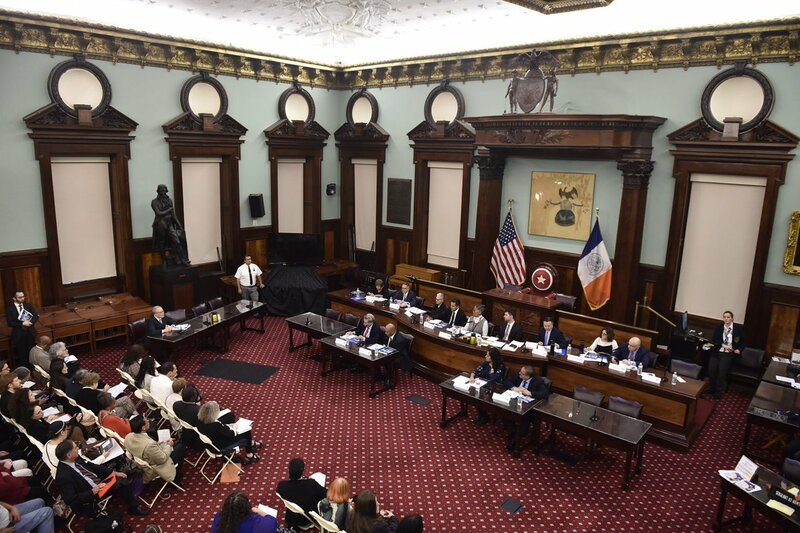 It was the last of five hearings, one in each borough, to launch the mayor’s charter revision commission, which will hold other listening sessions as it moves ahead with its work -- it plans to prepare a preliminary report early this summer and have a set of proposals by early September that will be presented to voters on their November ballots. 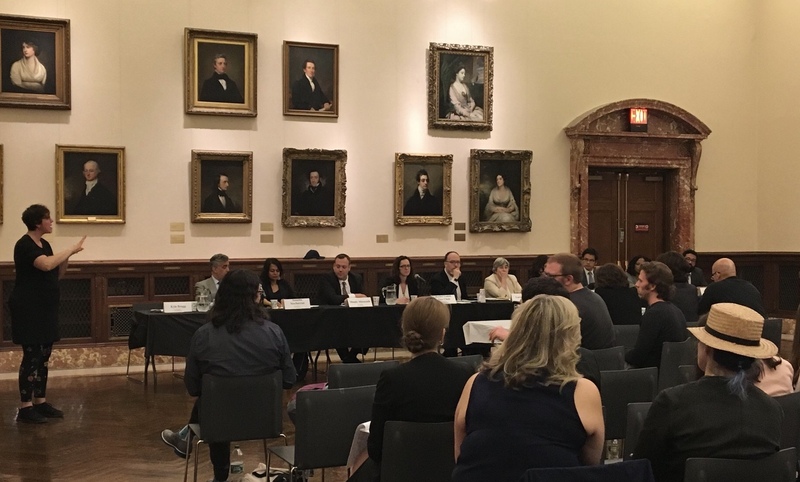 On Wednesday evening, community members delivered their insights into the way the commission can revise the city’s charter, a document outlining municipal governance, to improve democracy in New York City. 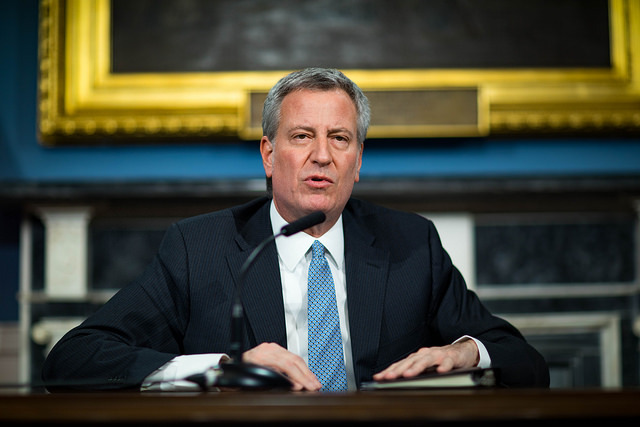 De Blasio has charged the commission with reforming campaign finance to reduce the influence of big money and increasing voter turnout, though by law it can look at the entire charter. Topics such as police discipline and the role of community boards, among many others, have been discussed at the five public hearings thus far. The city’s current paradigm includes a public matching system that provides six dollars of public money for every dollar of private money raised from qualifying donors up to $175. Kallos' first recommendation outlined on Wednesday night is to move “big money out of New York City politics and empower small donors” by increasing the cap on pubic funding from 55 percent of each candidate’s spending limit, where it currently stands, to 85 percent of the spending limit. He suggested the city should increase the match of small-dollar donations over larger donations, or “matching small donations of $100 or less at a higher rate than the larger contributions.” When later questioned on the issue by commission Vice Chair Rachel Godsil, he said this change would encourage candidates to “hustle in their own communities for $10 donations” instead of looking outside their district for big money. 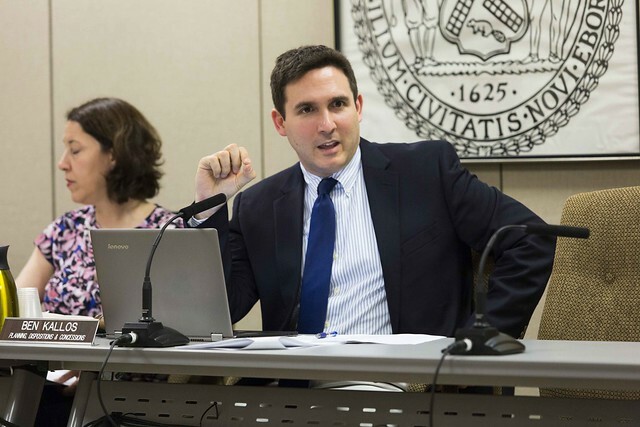 Kallos urged the commission to consider lowering the contribution limit from the current $5,100 -- “which is more than you can give to the President of the United States,” he said -- to $2,000 for citywide candidates and $1,000 for City Council candidates. He also touched upon introducing democracy vouchers, a program used in Seattle that provides eligible voters with money to give candidates. 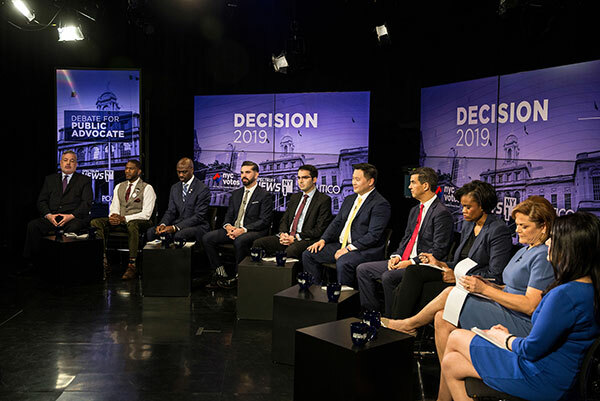 And, Kallos discussed ballot access reform, before suggesting the charter should be amended to end the “revolving door” between city and state politics in New York. His also encouraged the commission to adjust the charter so each elected official is allowed to serve for “two consecutive terms in an office, period, end of story…You get to be a Council member once for two terms, a public advocate once for two terms, a borough president once for two terms, and so on.” Currently, officials can return to an office they’ve held after they’ve been out of office for an election. Also discussing campaign finance reform at Wednesday night’s hearing, Alex Camarda from Reinvent Albany, an organization that advocates for government transparency and accountability, recommended moving lobbying enforcement out of the City Clerk’s office into the Conflicts of Interest Board, as well as consolidating all city administrative functions pertaining to campaign finance, ethics, and lobbying under on entity. Regarding the city’s voting system, Camarda said Reinvent Albany is supportive of instant runoff voting, also called ranked choice voting — where, instead of choosing a single candidate, voters rank the candidates in order of preference to avoid actually holding a runoff election in the event that no candidate hits the required 40 percent threshold in a citywide primary. He said this would improve the outcome of primary elections for citywide offices, all special elections, and for military and overseas voters. Several others spoke about instant runoff voting on Wednesday night, with founder of the Center of Collaborative Democracy Sol Erdman telling the charter commission ballot reform would help diminish the trend of negative campaigning — “if you have two top candidates for any office, the easiest way to win is simply to undercut the other candidate,” he said — and lead instead to a rise in issue-based campaigning. Opening up party primary elections to independent, or unaffiliated, voters was also discussed at length by members of the public and concerned organizations. “Everyone should be allowed to vote in the first round of voting, regardless if they are registered to a party or not,” a representative from the Queens Independence Club said, adding that one million voters in New York are independent voters. As in previous hearings, the issue of participatory budgeting — that sees certain City Council members set aside capital funds for community-decided projects — was also raised on Wednesday night by community members hoping to institutionalize the concept. High school senior Ilana Cohen, who founded PB Youth, testified on the issue and was asked by Commissioner Mendy Mirocznik her opinion on the role city schools are playing in increasing civic engagement in young people. Though not on de Blasio’s list of focus areas, police discipline is an issue that’s been raised frequently throughout the charter commission’s initial hearings. On Wednesday night, Commissioner Siegal, while responding to testimony about police violence, admitted there are “real issues with the current system that prevents citizens knowing what’s going on in cases unless it goes to trial.” “That doesn’t make any sense,” he added. Other matters raised at Wednesday’s hearing include the right to housing for all New Yorkers, expanding paid parental leave to all city employees, and “correcting the injustice” around allocating street vendor licenses. With a hearing in each borough now behind it, the commission is expected to deliver an initial draft list of recommendations in July.